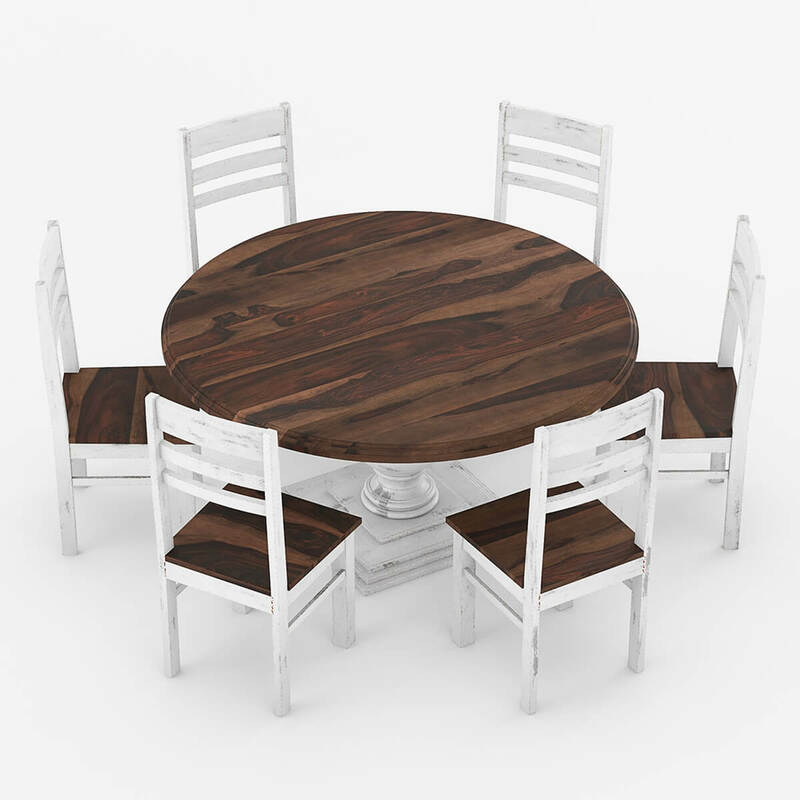 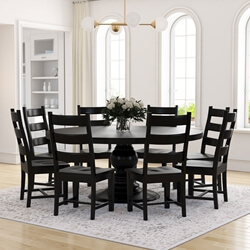 Gather your family and friends and enjoy great conversations over your favorite food and drinks stylishly with the Illinois Two Tone Large Round 72" Dining Table With 8 Chairs Set. 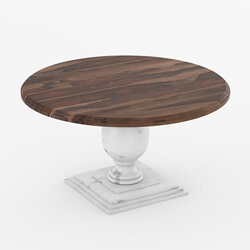 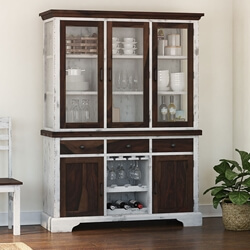 In the set, the dining table features a lovely round top stained in dark natural with visible wood grain patterns and a pedestal ending in a chic four-layer square base in a contrasting darker stain. 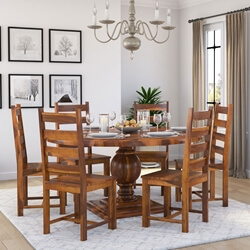 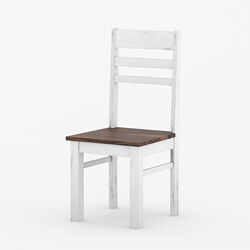 The eight chairs feature ladder back pattern and similar contrasting stain on its seat and body, beautifully complementing the round dining table. 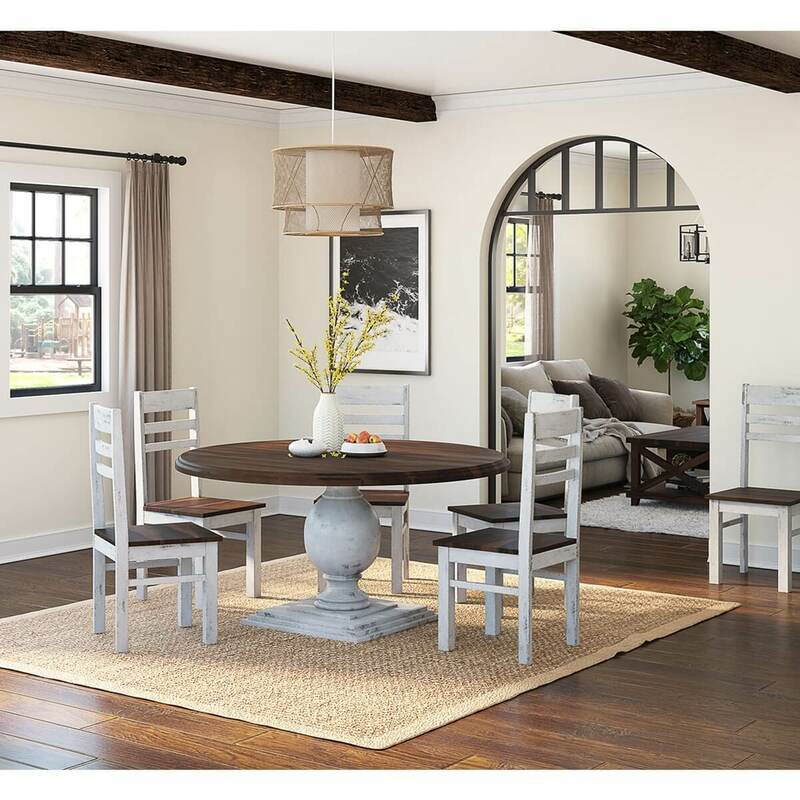 Make it into a beautiful ensemble by hanging a square pendant overhead and adding contemporary art work on the walls around. 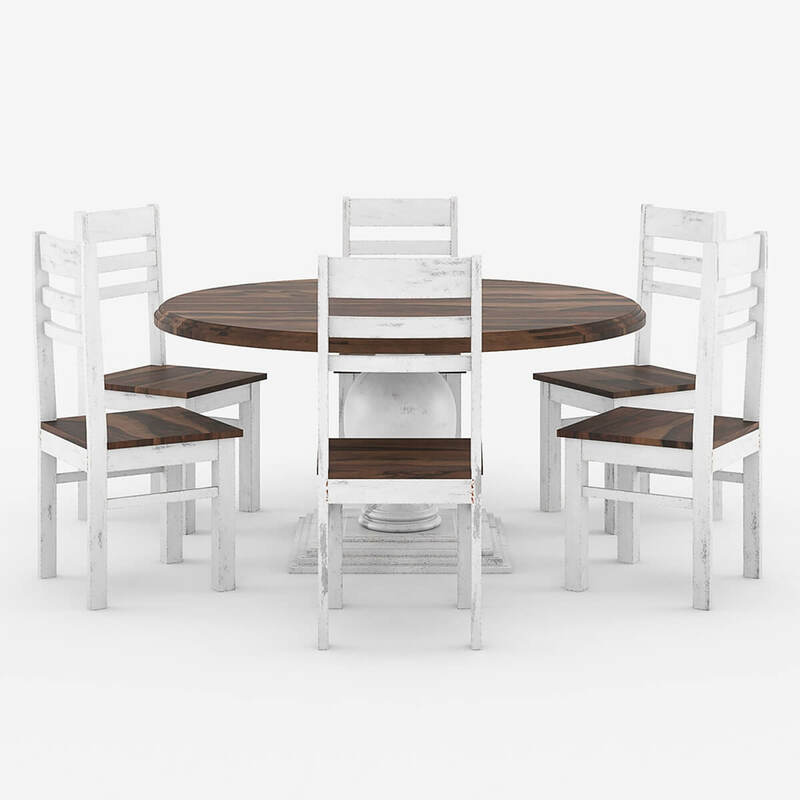 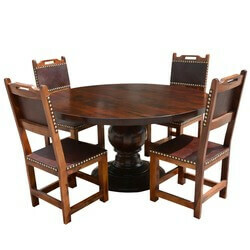 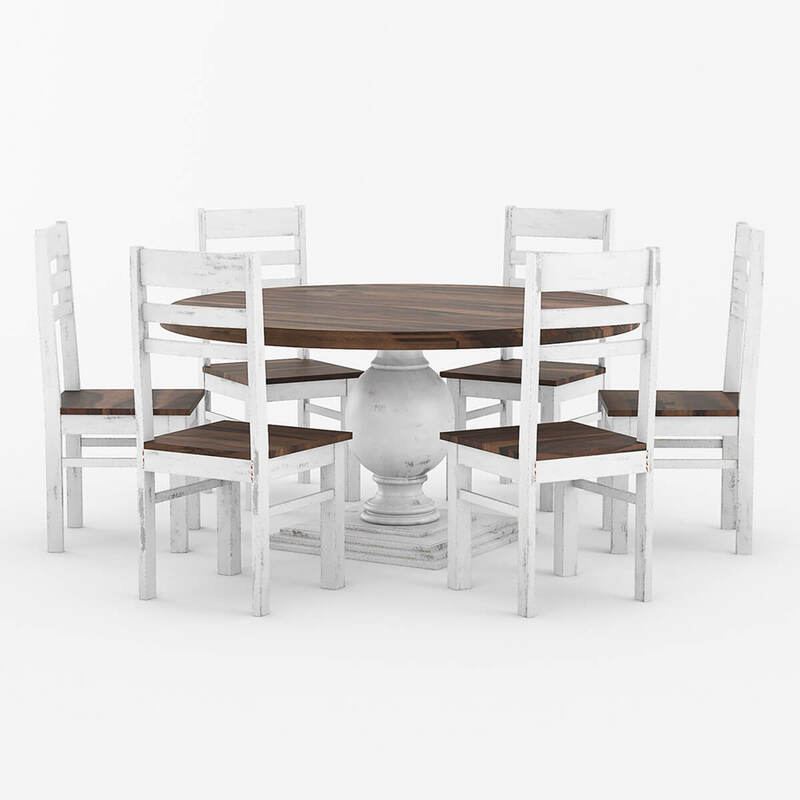 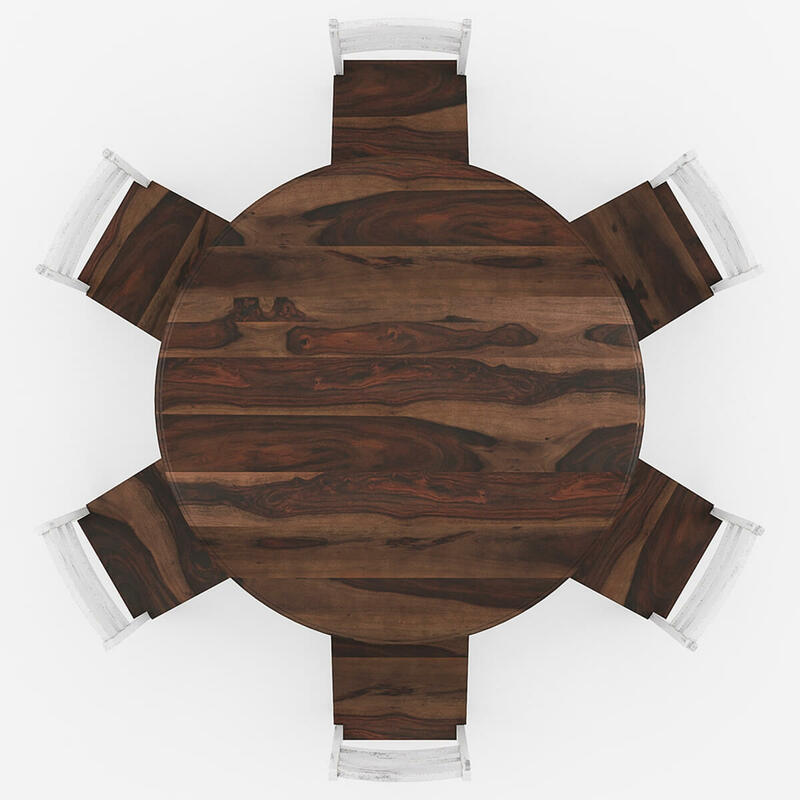 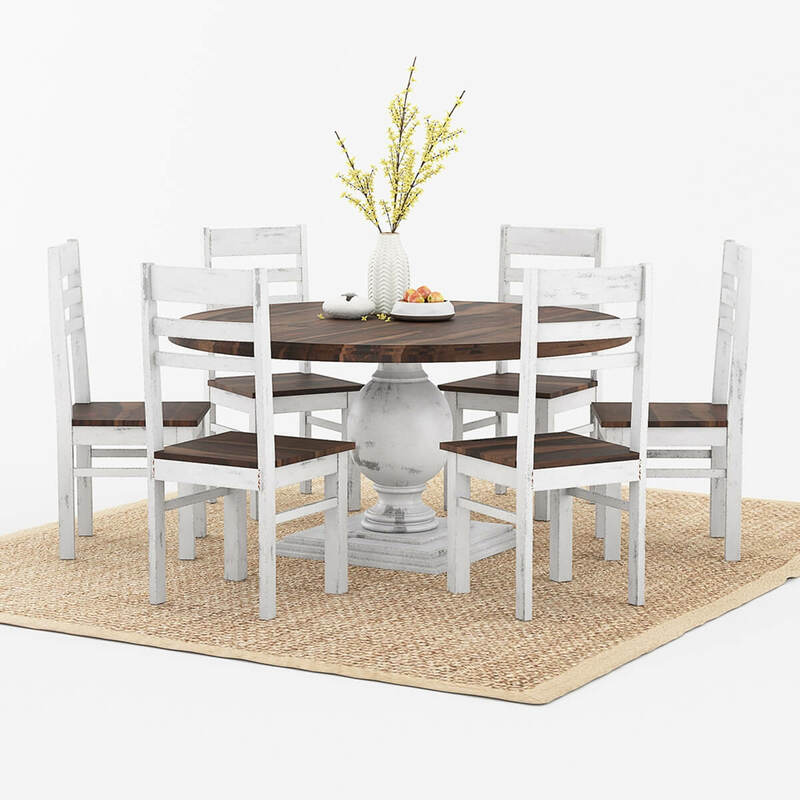 The round dining table for 8 people is a perfect addition for transitional to contemporary decors. 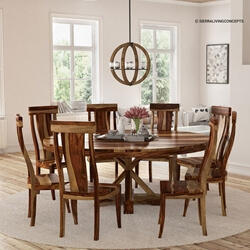 Materials: This round dining table set is completely handcrafted from solid Rosewood that lends it exquisiteness and sturdiness to last a lifetime.